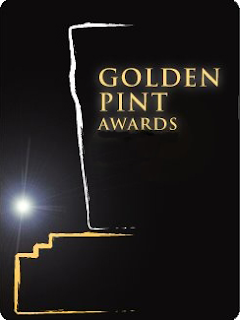 Rather than write a Golden Pints post, here’s are the breweries and beers that will be at the top of my list this year. Operating out of East Sussex, Gun Brewery have a tight core range with slick branding. Their Milk Stout is banging. I picked up some of their stuff in Brighton last summer and was really impressed. 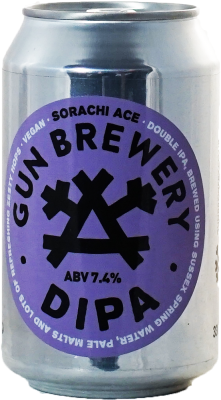 More recently I had the pleasure of their Sorachi Ace hopped DIPA - a quintessential West Coast IPA with as good an expression of the Sorachi Ace hop as you’ll find. I’ll be picking up their special releases whenever I see them and I’ll buy their milk stout whenever it crosses my path. Nobody will be surprised to hear plaudits for Thornbridge. They’ve been at the top of the craft pile in the UK for years now with good reason. 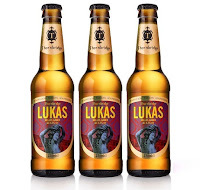 Their Lukas Helles is something else though. I’d argue it’s more in the style of a German Pilsner than a Munich Helles because the hop profile is huge - not in bitterness terms, but in aroma and flavour terms. It just positively bursts forward with this elegant, sophisticated noble hop profile that few other brewers of lager manage to achieve. It’s surgically clean, it’s crisp and endlessly drinkable. 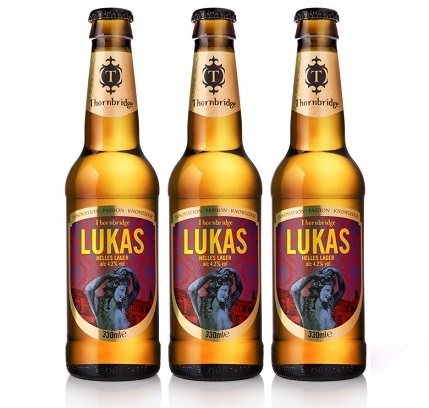 If you don’t get lager, get a bottle of this. 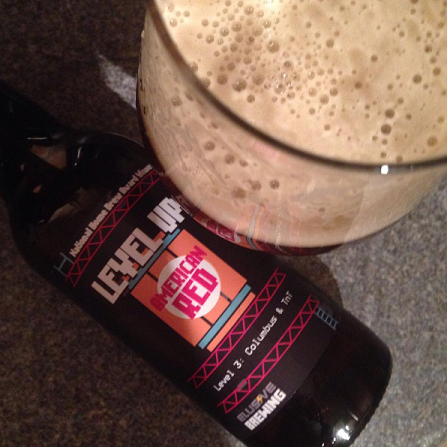 It sounds like the hyperbole of a contrarian, but you can keep you haze and your juice … I’d rather drink this. Lots of people with opinions I respect are saying good things about Verdant Brewing Co. from Falmouth in Cornwall. I picked up their core range cans a month or so back and I wasn’t hugely impressed. 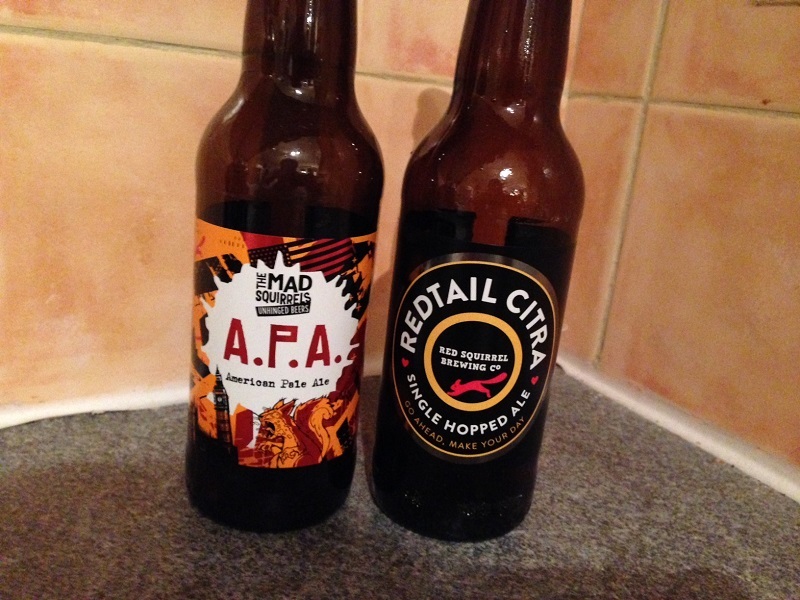 They were decent but not without issues - I got oxidised notes and the suggestion of ageing hops. On tasting their more recent IPA and DIPA however, I could see signs of where they’re heading. 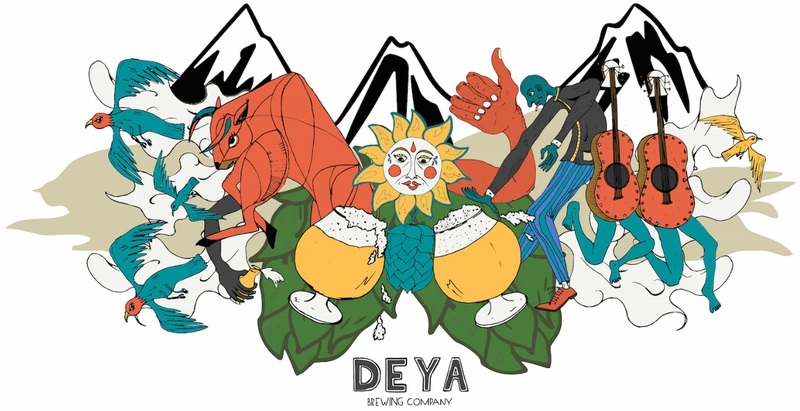 I think they’re a brewery to watch for sure. It feels like the pieces of the puzzle are there and that they won’t take long to come together. Andy Parker of Elusive Brewing is about as nice a bloke as you’ll ever meet. He also gets huge respect from me for doing the seemingly obvious: he learnt how to brew beer well before opening a brewery. I went along to a tap takeover he did shortly after opening his brewery and every beer that night was excellent. How many new breweries take over a bar like the The Old Fountain and put an excellent beer on every tap? As many as have brewers that learn how to brew before opening a brewery, that’s how many. I’ve picked up bottles since and been less impressed with the way they were packaged - some over carbonation issues - but if I see his beer this year, I’ll be buying it. 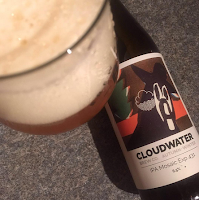 As good as the DIPAs from Cloudwater Brew Co. are, the IPAs are better. I’m basing this solely on the IPA Mosaic Exp 431 that they released at the end of 2016. That’s how good it was. 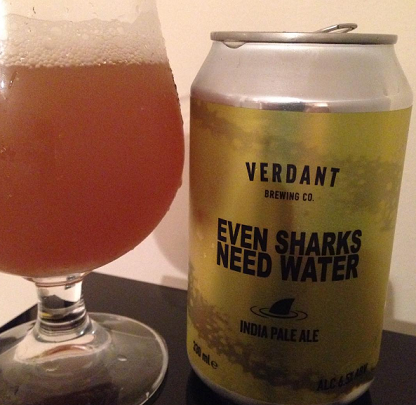 Whilst DIPA v10 made all the noise, the IPA quietly blew it out of the water. Llandudno based Wild Horse Brewing Company brought their range of beer to London for an event at the Eebria Taproom last year. I wasn’t aware of this until I accidentally found myself there that Saturday afternoon. I ordered my first beer with zero expectation and left having drunk through an excellent range of really well put together beer. Blonde: good. Pale ale: good. Porter: really good. Even the pumpkin beer was worthy of a second glass. An Instagram feed straight out of New England. 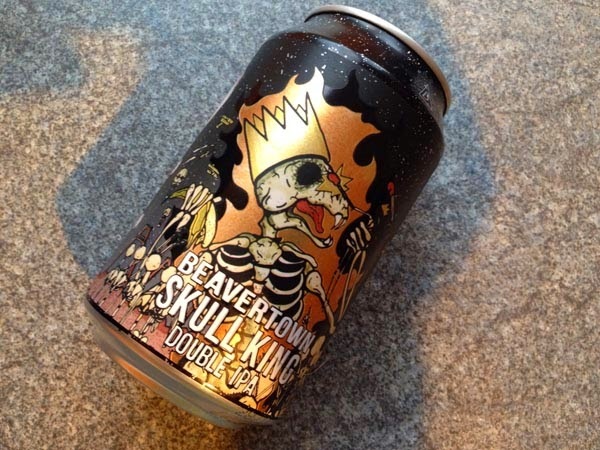 500ml cans with wrap-around labels. Hazy, pale, hop-forward beer. 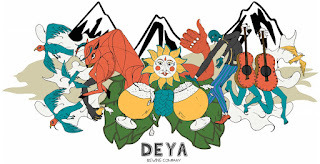 Deya Brewing Company had every right to be all style and no substance when I eventually got to try their Steady Rolling Man last year, but they weren’t. A little brewery from Cheltenham, that was barely a year old at the time, produced one of the best examples of the emergent New England IPA style that I tasted all year. I cannot wait to get hold of more of their stuff. So there you have it. Some less obvious things to look out for in 2017. What are your top tips for the new year? Past the grubby, grease-flecked windows of Eastern European takeaways; a carpet of carrier bag shifts gently in the wind; flanks of chain fence keep derelict land from busy hands, opposite an imposing, solid door that stands firm like armour against the outside world. Through intimidation the armour protects its threshold; no sign welcomes me, no instruction validates my inadequate, hollow knock. Silence answers me like a test. Swallow hard and hope you’re right. Relief hurries me inside; a crackle of conversation warms the air, people graze about the room like cattle; my insecurity forgotten like those carrier bags. In a corner sit three Japanese teenagers. Organised and upright, they fight to conceal their discomfort. They look upon an open bottle as though about to perform an autopsy; none dare move, none dare pour. Their stand-off is watched by a pair of Scandinavian men from across the room. They wear thick leather boots with heavy soles that surrender shards of dried-out mud to the already dusty floor. Glasses appear as thimbles in their immense hands; their beards hang long and wild, God-like fashion from the catwalk of Mount Olympus. A troupe of excited Americans make their way toward the machinery at the back of the room. I pause and catch my breath: a lungful of damp, heavy air - flavoured by the growth that persists across the room’s neglected walls. Following them past rows of unlabelled bottles, a sign catches my eye that reads “Cantillon C’est Bon”. Outside stands the city of Brussels, where man manufactures coffee cups that warn of hot contents and people outlaw straight bananas. Here, here the spider makes its happy home alongside raw ingredients and fermenting beer. Cogs with viscous teeth spin centimetres from my face and boiling liquid erupts onto the floor around my feet. I’m standing inside the belly of an anachronism; a sanctuary from change, where the power of man is secondary to the will of nature. It’s here that the Van Roy family have been making their unique beer for a century. Soured by the hands of bacteria and time, in old wooden barrels; beer that nobody wanted to drink, but that the brewery refused to let die. Gueuze and lambic with its citric complexity, its dry finish and its sour bite. Kriek and framboise, where the lush, ripe sweetness of local fruit is tempered by lactic acidity. 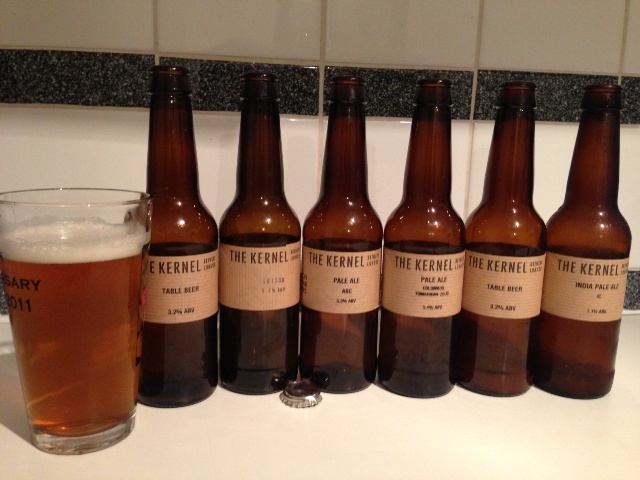 Beers that are the same now as they were decades ago; brewed with the same tools, by the same process. Beers flavoured not by modern hop varieties or imported yeast, but by the indigenous airborne life that has forever made Brussels its home. I float from room to room as the brewery tour passes me by. A young bloke scribbles endlessly into a scruffy little notepad whilst others take photos of themselves in front of sacks of malt. They see their surroundings in black and white; they listen to this story with the sound on mute. It occurs to me that Cantillon isn’t a brewery where beer is made, it’s a brewery that makes beer. The mash tun and the kettle like arms and legs, marching to a familiar old tune, the brewer like a brain, capable of balancing a hundred variables with a single instruction. But the heart and soul of this brewery is less tangible, it lies in every fibre of every wooden rafter, in every brick, in every tile, and in every single cell that inhabits these four walls. Only these brewers can make Cantillon wort, and only this brewery can make Cantillon beer. The beer-lover is incomplete without a visit here. When the Van Roys welcome you into their brewery, they introduce you to their oldest family member. A great-grandparent with open arms and secrets innumerable; whose stories of life will leave you enchanted, full, overflowing with a sense of magic and wonder. 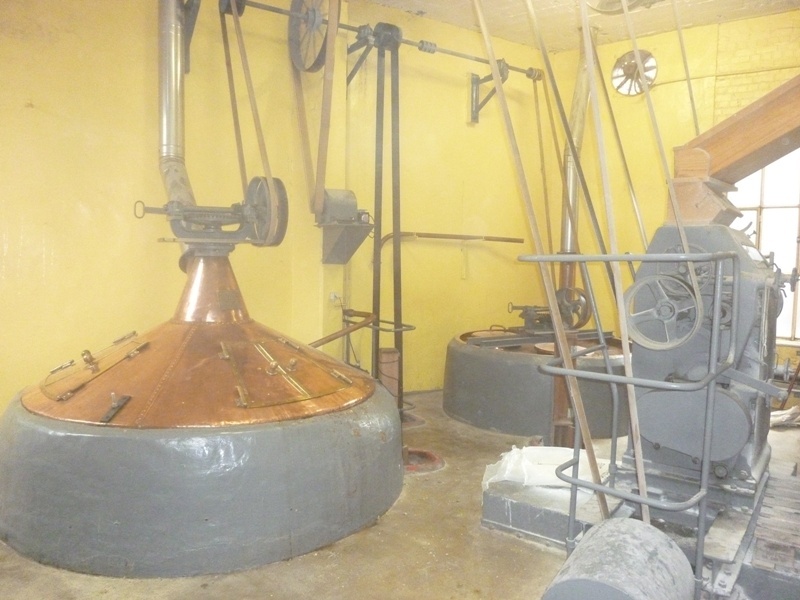 You can read more about Cantillon here. It's a short walk from the central train station and easily reachable by Eurostar.